The Itsy Bitsy Spider Crochet: The Great Granny Swap Pattern Book! 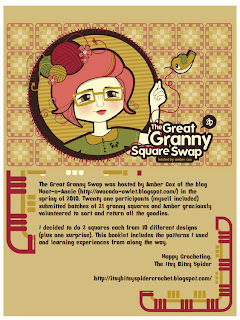 The Great Granny Swap Pattern Book! Hooray! I finally got everything edited and loaded to Ravelry! 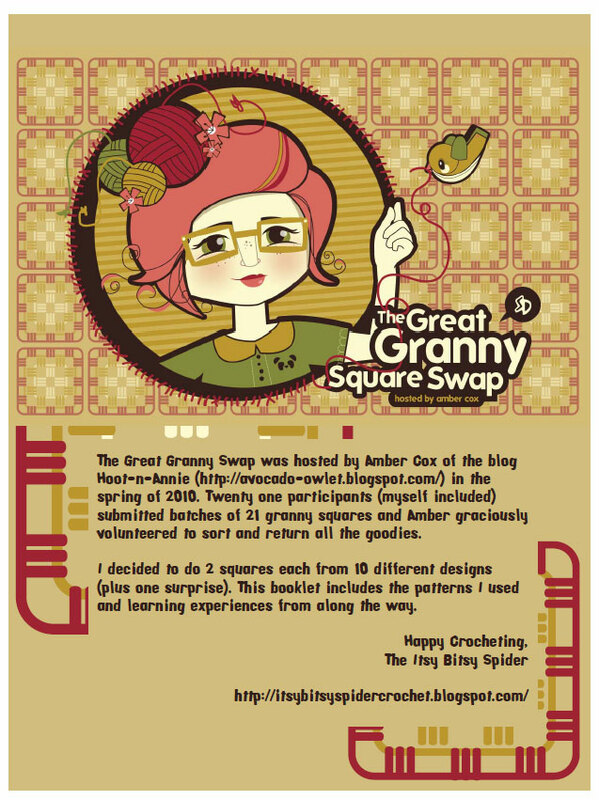 The Great Granny Swap Pattern Book is finally ready to go! 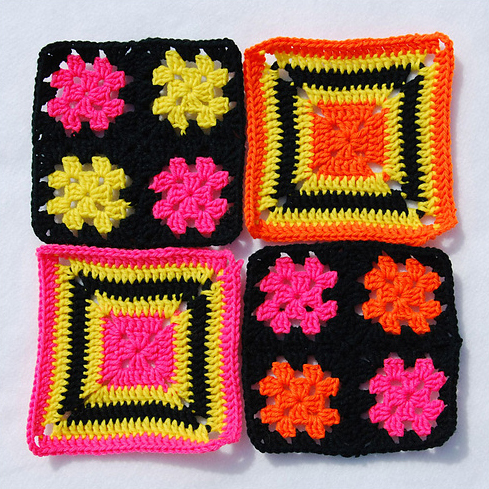 As promised, the book is a free download and it includes patterns for all the grannies I submitted to the Great Granny Swap. Special thanks go to Theresa Richardson (of Crochet Mania) and Steph Dillon (of Steph Dillon Design). I could not have done this without your talent and generosity! YAY! 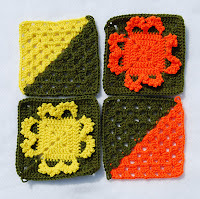 I am looking forward to trying out some of these patterns. AWESOME!!!!! I love it!! Thank you so much for doing the booklet!! I can't wait to play around with the patterns!! You are doing a great job!!! Love the guide! Thank you!